Coya is a super cool Peruvian Restaurant and Bar which has a touch of the theatrical to it. Brought to us by restaurateur Arjun Waney who is responsible for other famous restaurants such as Roka and Zuma, the décor is a mixture of sumptuous furnishings and a fabulous colour scheme that combines vibrancy with a distressed metallic finish. There is a basement restaurant and bar as well as a dedicated members area on the ground floor. The menu has been designed for sharing and puts up a broad offering of ceviche, tiraditos (similar to sashimi), anticuchos (grilled skewers) and small bites alongside a mixture of meat and fish mains. Peruvian in inspiration, there are touches of the eclectic to it with some Asian twists thrown in. From the anticuchos section we tried the grilled skewered tiger prawns (£8.50) which had been beautifully cooked. 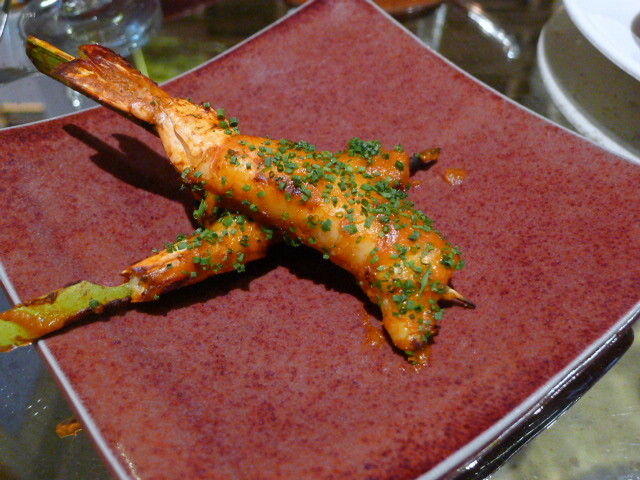 The prawns were firm and tasty and had been coated with a pleasant, but rather delicate tomato, garlic and ginger rub. A touch more seasoning might have therefore worked better. A sea bass ceviche (£8) consisted of some finely chopped red onions, well cooked sweet potato and crunchy white corn that popped in your mouth. The sweet sea bass was delectably sweet and had been uniformly diced to show off some skillful knife skills. The acidity in the leche de tigre marinade was well judged and consisted of a combination of fish stock, lime juice and chilli. 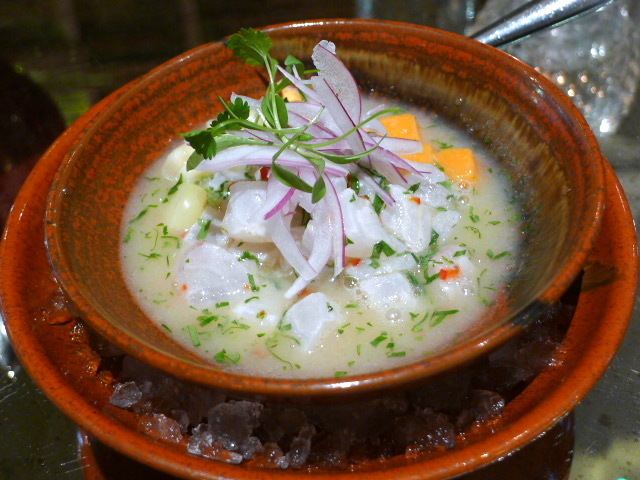 A sprinkling of coriander further elevated this beautiful ceviche. 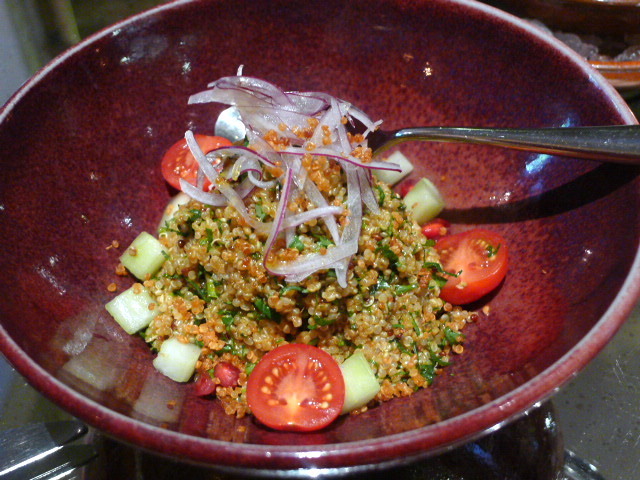 A quinoa, coriander, mint and pomegranate salad (£7) packed some punchy flavours with a tamarind dressing made with lime juice and chilli. The dressing was quite sharp, but the spicing and herbs were a wonderful addition with the pomegranate giving the salad a touch of sweetness. Chilean sea bass with Amarillo chilli (£27), a signature dish at Coya, had been perfectly cooked. The fish was moist and flaky and melted on the tongue. 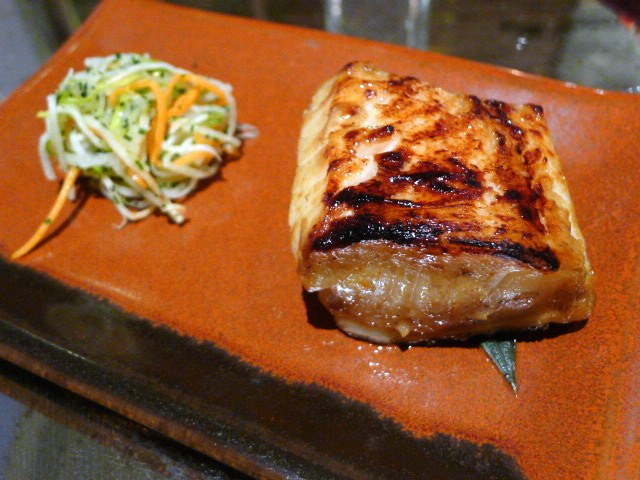 The glazing on the fish, prepared using a miso base, was reminiscent of the miso-cod dish found in many high-end Japanese restaurants. It was a beautifully prepared dish, but we would have loved more sauce. 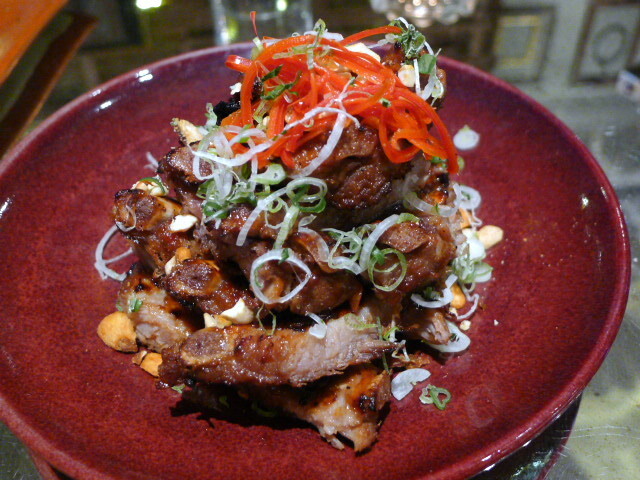 Pork back ribs (£15) were tender and moreish and came with a tasty tamarind glaze that was really pleasant. Crunchy cashews worked as a garnish and were a nice touch. A dessert of chicha morada (£8) – Peruvian purple corn colada with passion fruit, strawberry and an orange short bread showed off some skillful preparation. The most Peruvian of all the desserts on the menu, it consisted of purple corn which had been simmered with spices before being used to prepare a sorbet, granite and a sauce. 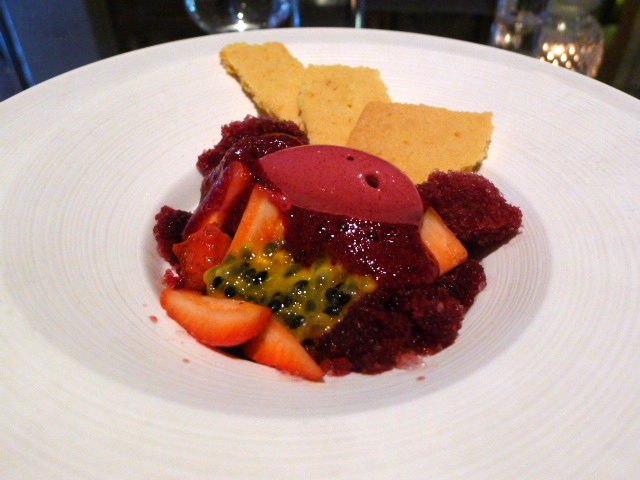 As such, all three of the key elements of the dessert boasted of the same berry-like flavour and was a bit same-y. The shortbread was a great pairing however as it was lovely and light. The food at Coya was lovely, showing of great imagination, precision and a wonderful harmony of flavours. We also warmed to the service as it was attentive without being stuffy or overbearing, another plus point in the Coya dining experience. But for all the talk of cool, Coya was deadly quiet when we visited. Admittedly it was Sunday night, but it hardly convinced us that Coya can guarantee a funky atmosphere every night of the week. Prices: About £40 to £60 a head, excluding drinks and service.